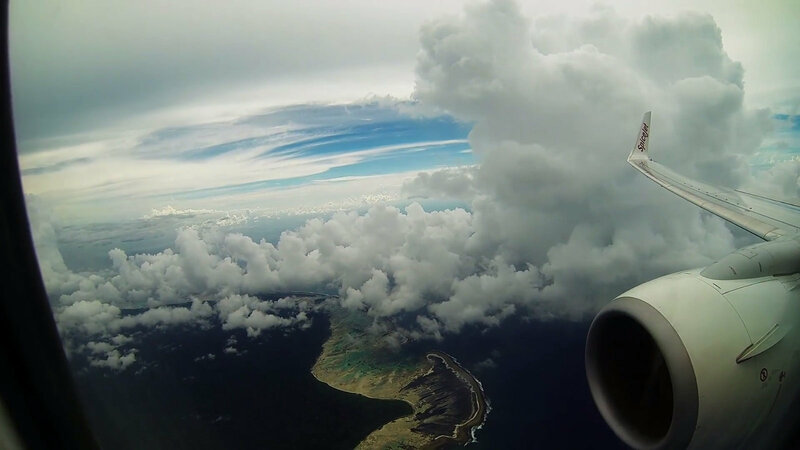 If your dream destination includes a cosmic stretch of water beneath your feet, clear blue sky above and enchanted beauty then the Andaman Islands is your place. These Islands cannot be described in words; they have their own charm that comes from the vastness of nature yet such a simple living. 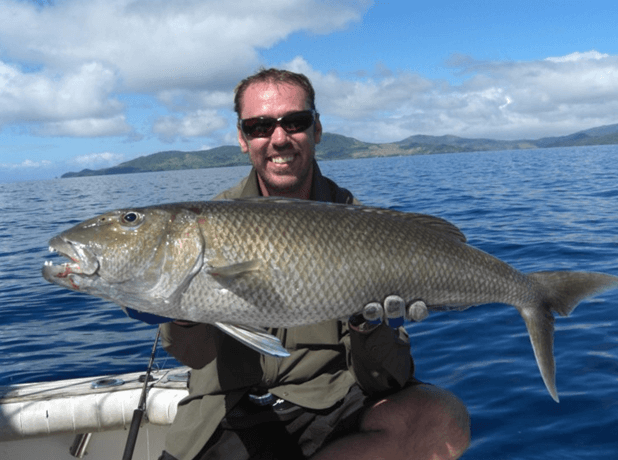 Many tourists visit the islands every year in search of peace, spend some alone time in nature, explore the underwater mysteries and get themselves very close to nature. 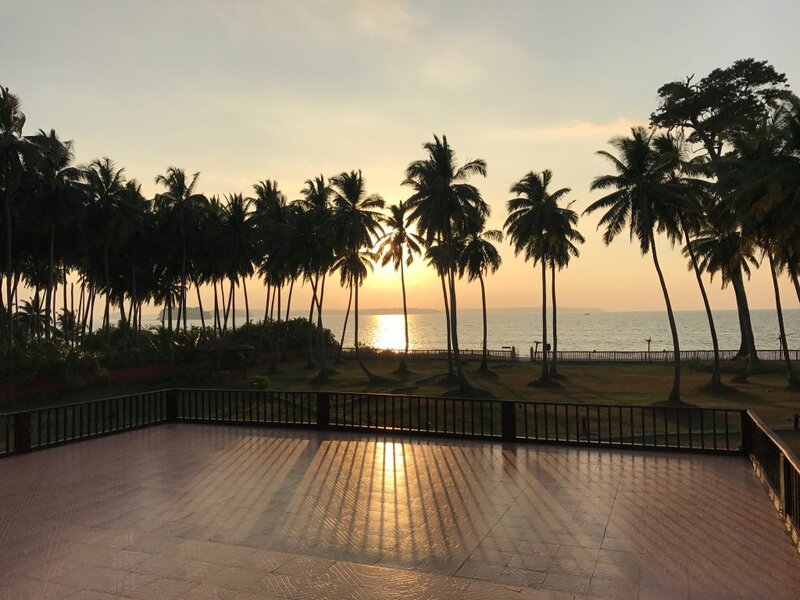 We are happy to announce that in February 2018, the only 5 Star Resort in the Andaman Island by Taj has been launched and is operational for travelers. 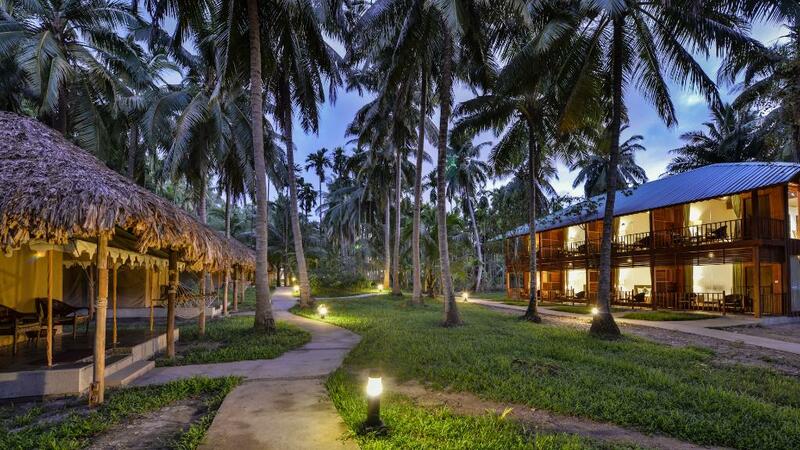 Before the season begins, this resort will be all set with all its amenities for travelers on a visit to Andaman. 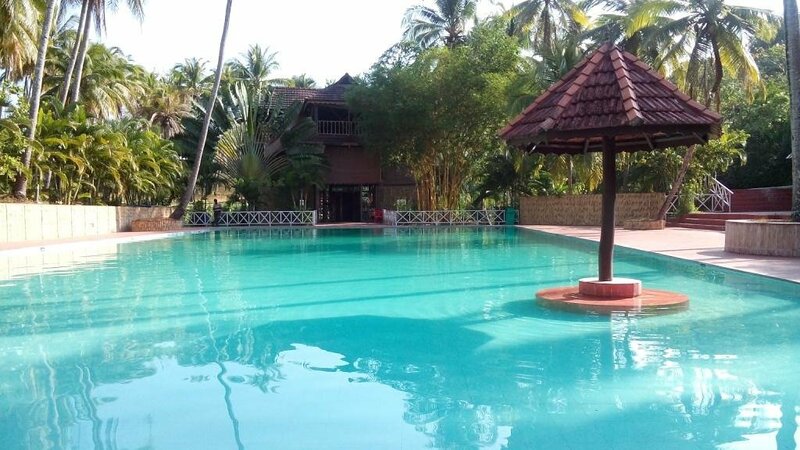 The resort is very well placed close to the finest beaches in India, the Radhanagar Beach. 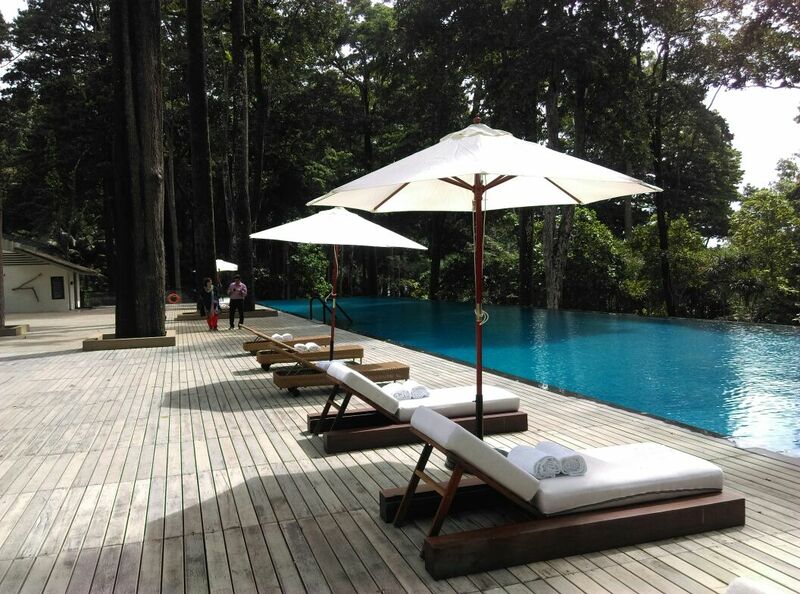 This luxury resort is among the best hotel in Andaman. 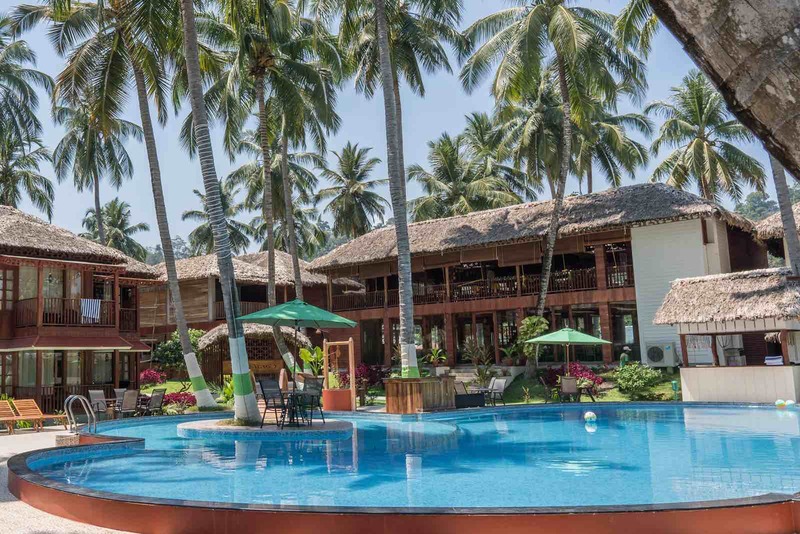 Any other Luxury resorts in Port Blair, Havelock and Neil Island are only Four-star, however, Taj is the only Five-star luxury resort in Havelock island Andaman. 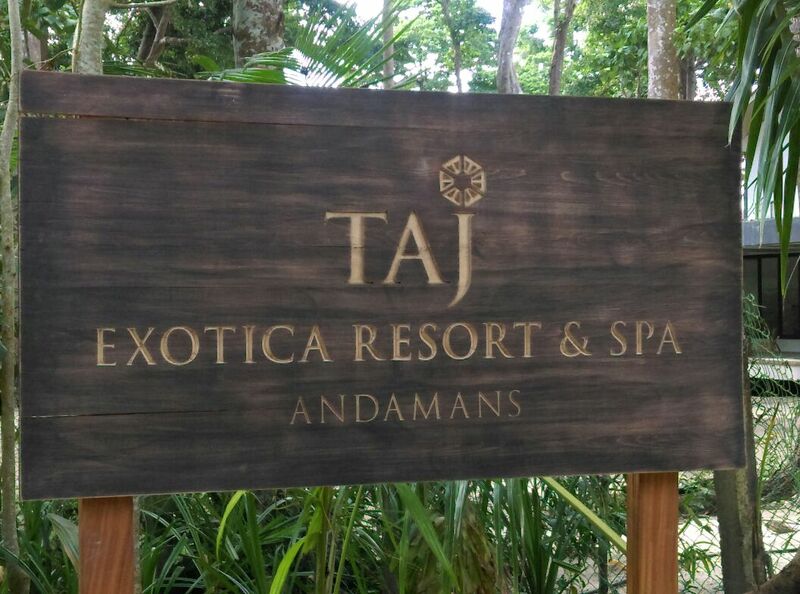 Now, after Taj, the only 5-star resort in Andaman at Havelock Island there are no other 5 star resorts in Andaman. 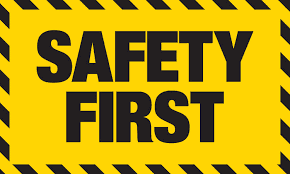 However, there are many 4-star properties which offer the amenities very to close to that of a five-star property. 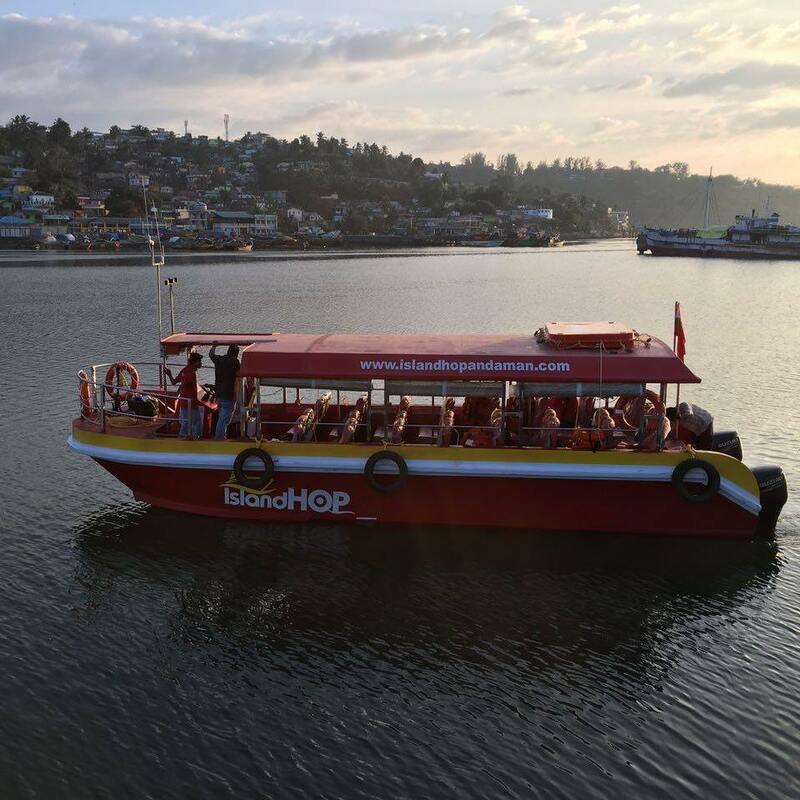 There are several classy and beautiful beach resorts in Port Blair, Havelock and Neil Island that will make your stay in the Islands worthwhile. 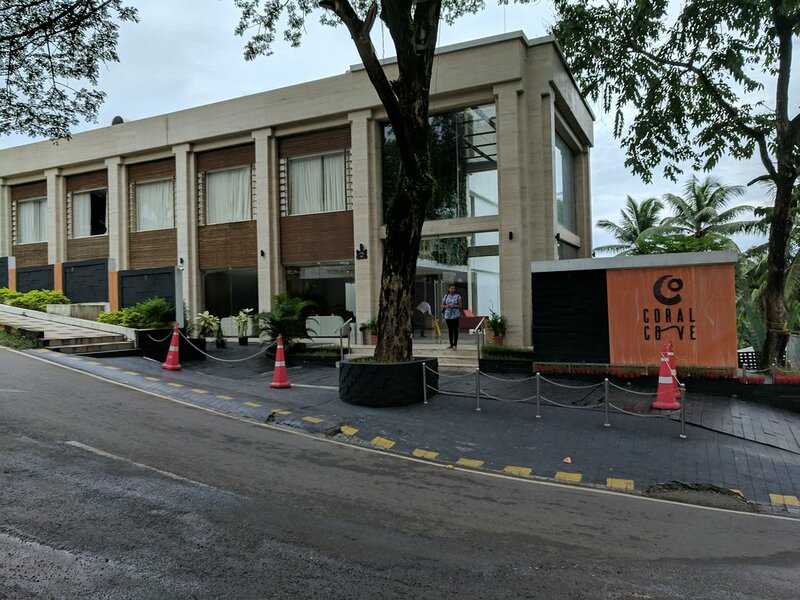 Comfort Inn is a very new property launched in Port Blair in 2018. Now, if you ask me in terms of room quality and interiors I will Comfort Inn best, spacious rooms, bath tub and amazing interiors. 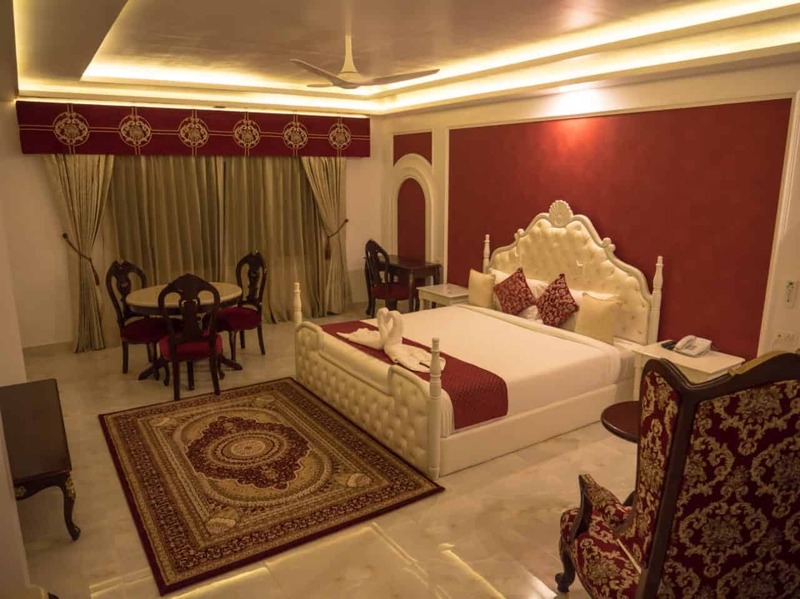 The Royal rooms with different themese for different rooms is something that Andaman Islands has never seen before. 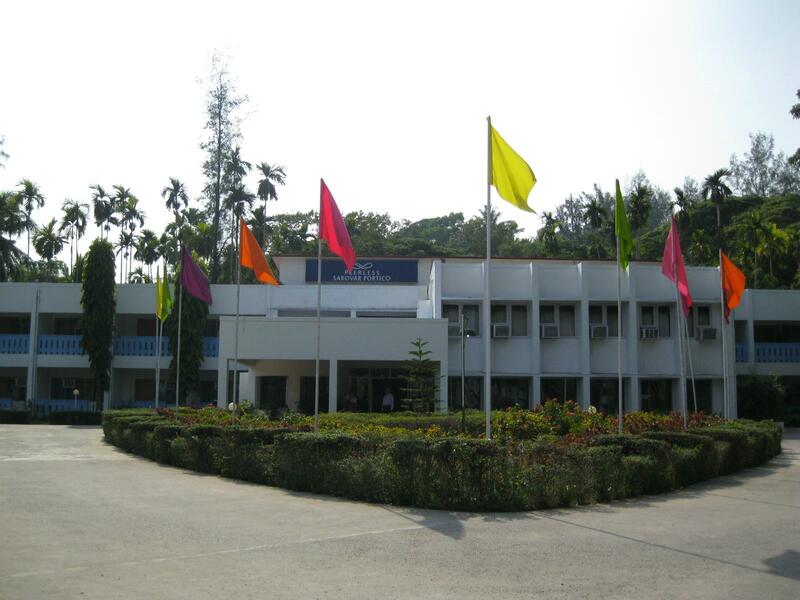 So, next time when you are looking into luxurious options in Port Blair, then Comfort Inn could be your pick. Among the most luxurious resort, though situated very far from the city. The Wandoor beach is very much accessible from this resort. Has a swimming pool and other amenities that you expect from a 4 star resort. Having said that, this resort is far away from the city and conveyance during the day for sightseeing will be difficult from this resort. 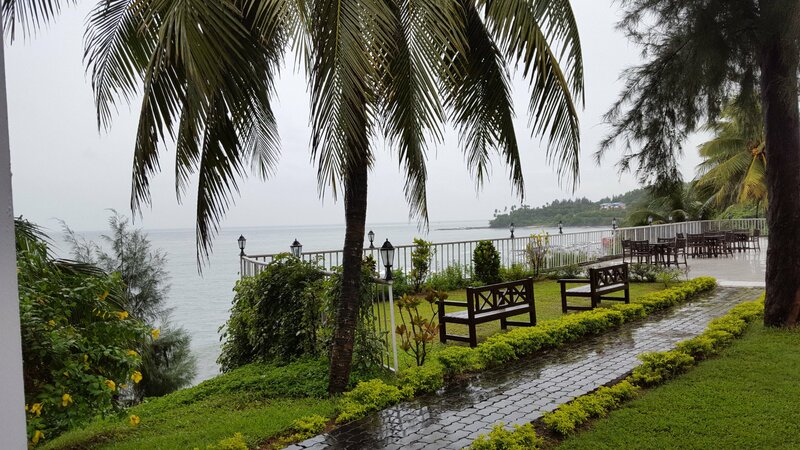 Now this is a good resort in Port Blair situated far from the main city en route to Chidiatapu. Has a very good swimming pool. 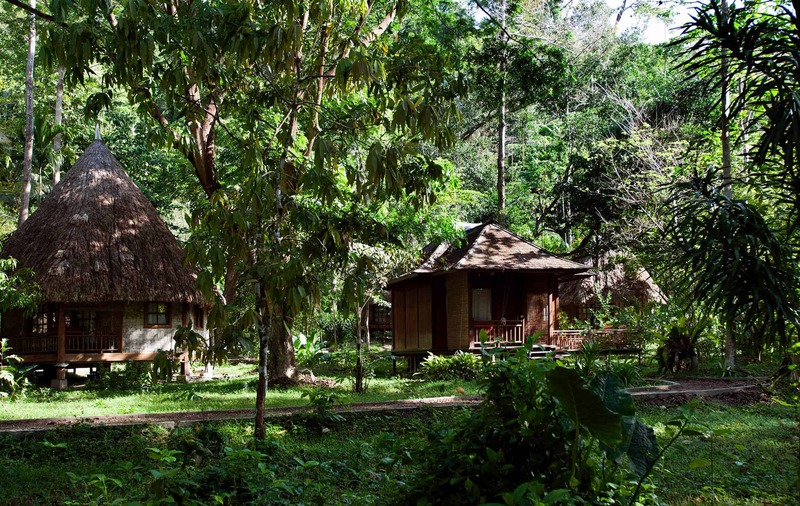 This resort can be considered in case your preference is to stay far away from the city. The individual cottages here in Suncity resort is very big and spacious with an open to sky bathroom.This is a good property with good space, however, lacks good amenities and exceptional top notch service which you expect when selecting a luxurious property. 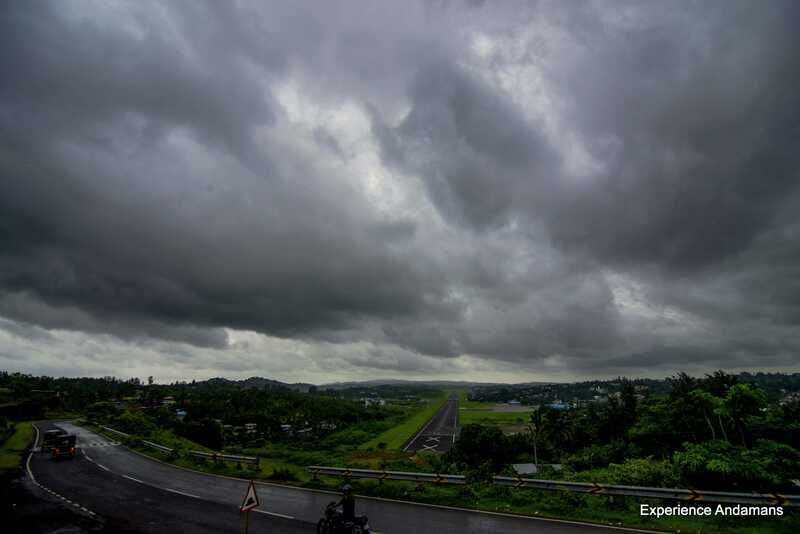 Could be the last option to select when looking for luxurious resorts in Port Blair. 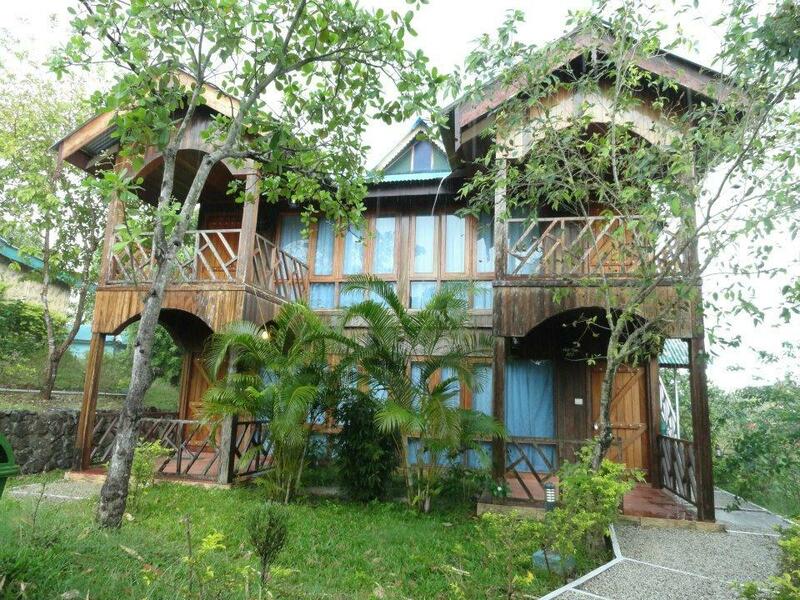 Having said that, the USP of this property is a very good location along with the privacy that you may be looking for. 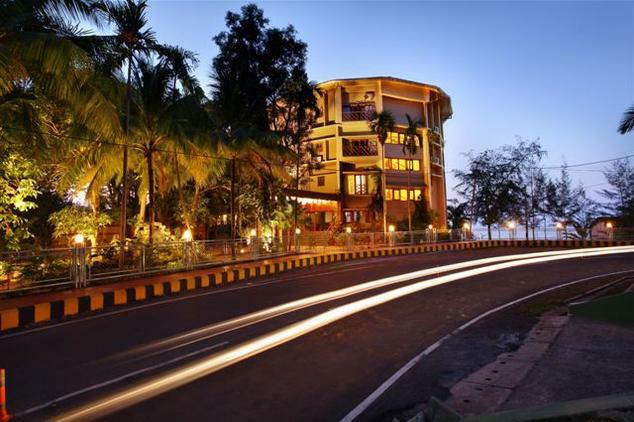 Peerless Sarovar is a good 4-star resort located very close to Corbyn’s Cove beach. The beach is at a walking distance from the resort. This resort can be considered when you want a luxury resort by a beachside. The city is also very much accessible from this resort. This resort is a little old and for some travelers who wish exquisite experience might not like the building structure. However, the rooms are decent. 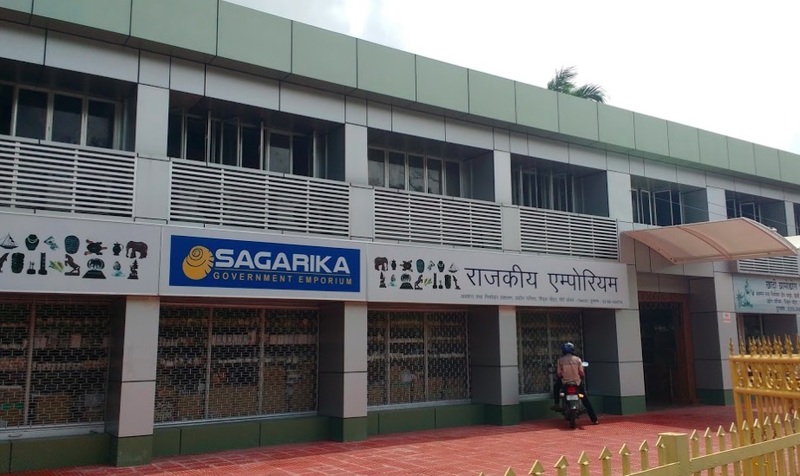 Among the most demanded property in the Andaman Islands. 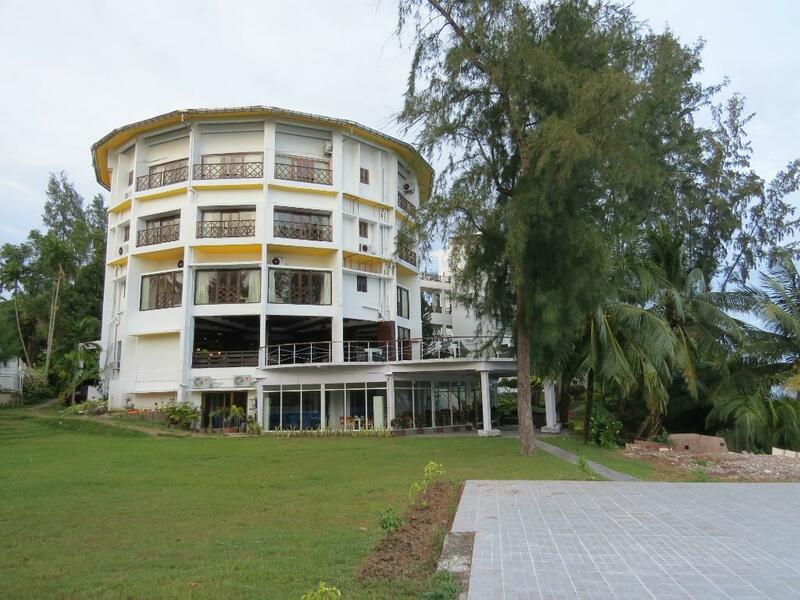 Though not a beach resort, however, this resort is located very close to the sea and has sea view rooms. 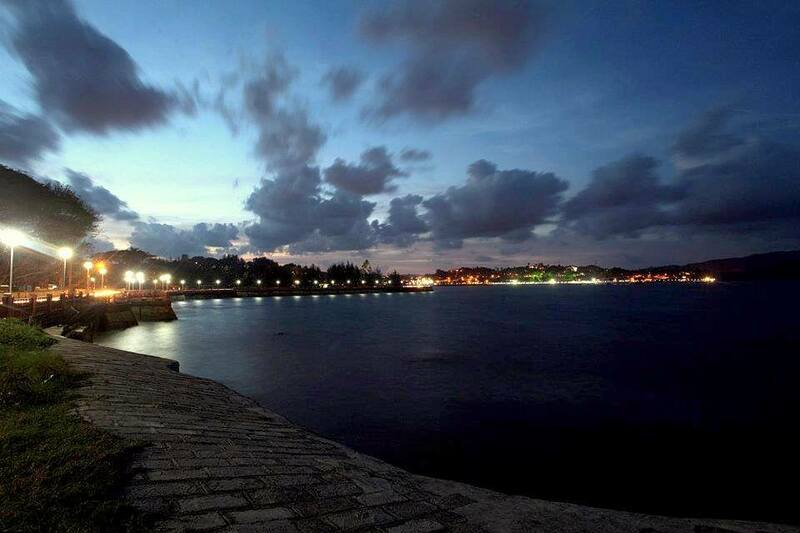 The resort is located very close to the Marina Park where you can go for a walk in the evening. The food I found was ok and not that great, however, you can try some restaurants nearby Sinclairs hotel. 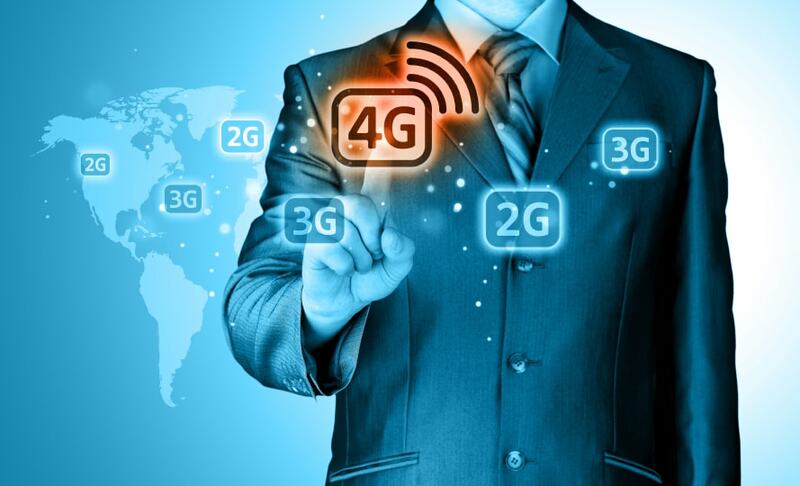 Sinclair is a good option for a 4 star category and can be selected during ones trip to the Andaman. 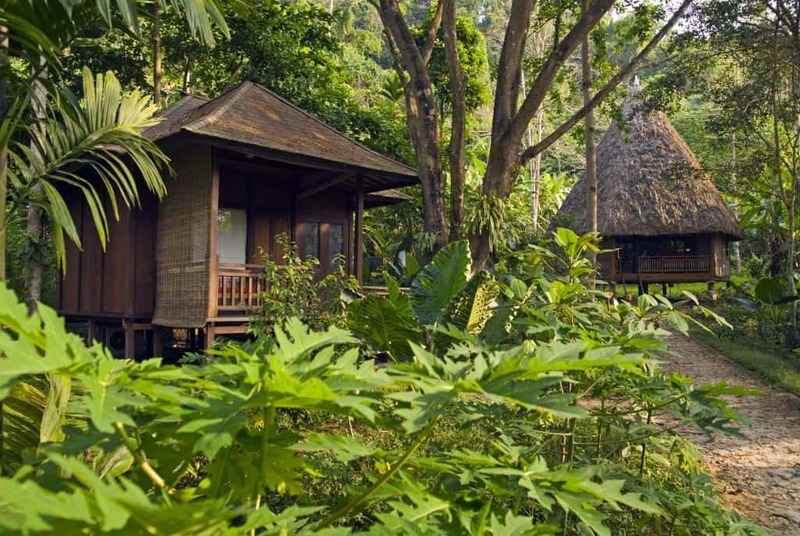 Among the latest 4-star luxury resorts in the Andaman. 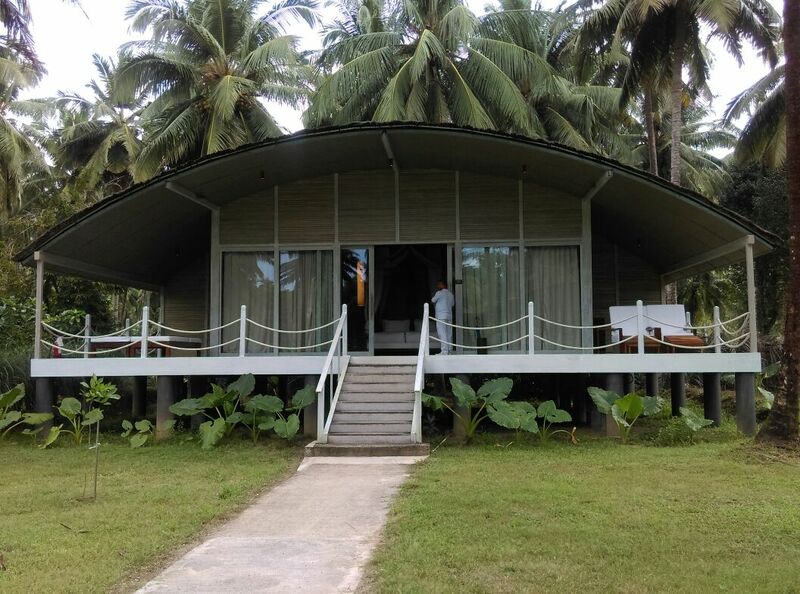 Apparently, this is the only four-star resort in Andaman with bathtub and the other one is Comfort Inn. Not all resorts in the Andaman has bath tub. 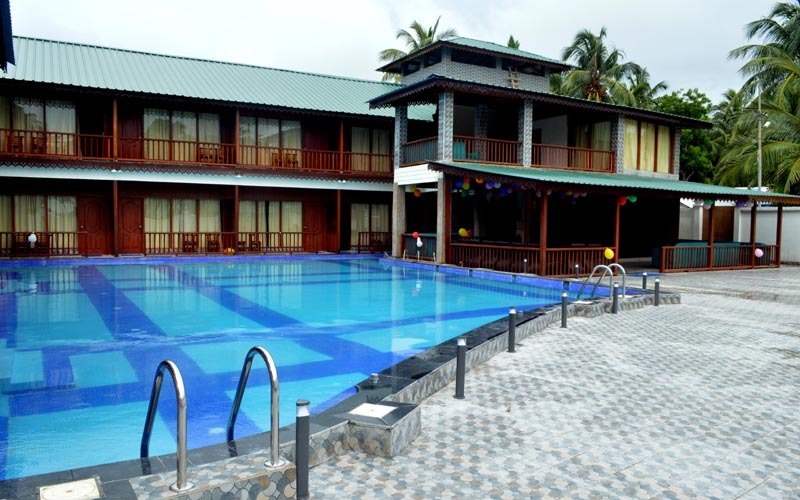 Coral Cove is a pioneering new breed of city hotels in Port Blair. With 42-star class suites, perfect design, elegance, and comfort, Coral Cove is a beautiful place to stay in the Andaman Islands. Holiday Inn Resort: Enjoy the luxury lifestyle at Holiday Inn Beach Resort with in-house swimming pool, Jacuzzi, sauna and spa treatments. 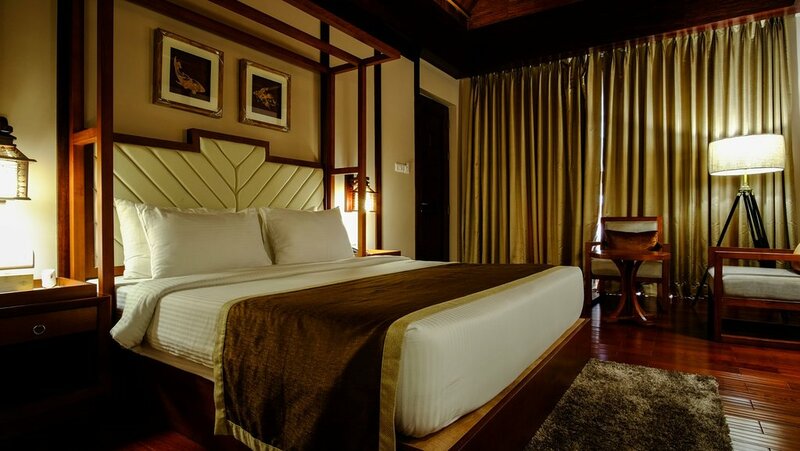 Rooms are available in four different categories namely Neil Plaza, Paradise, Lagoon Vista and Crane Sea Villa. 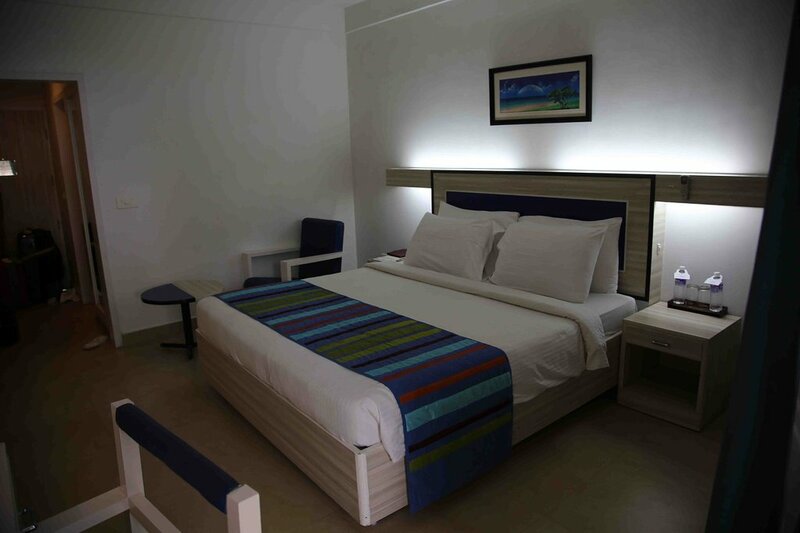 These rooms are fully furnished with free WiFi facility and special arrangements can be made for candlelight dinner on the beach. Holiday Inn Neil does not come under the chain of Holiday Inn that we see in Goa. 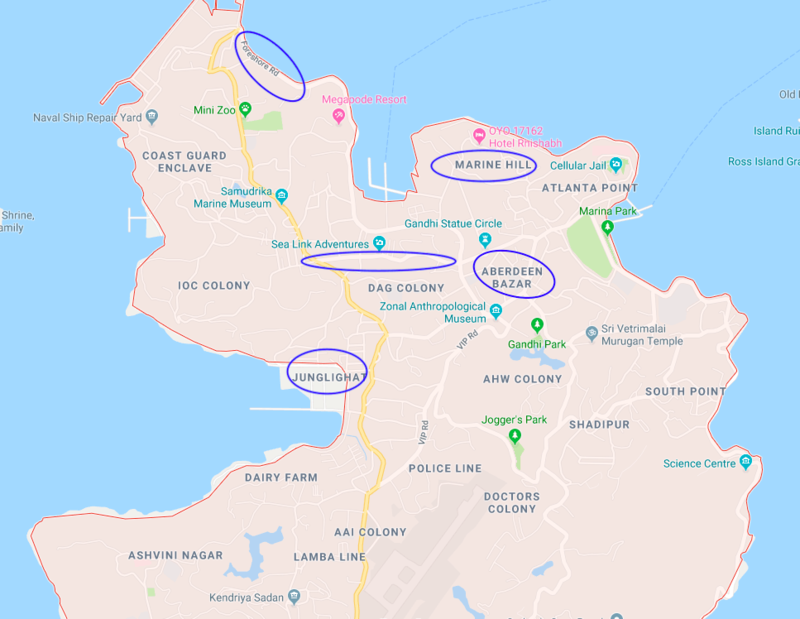 This property is different and is a decent property for a luxury experience, however, I will rate the other properties mentioned below better than Holiday Inn Neil. 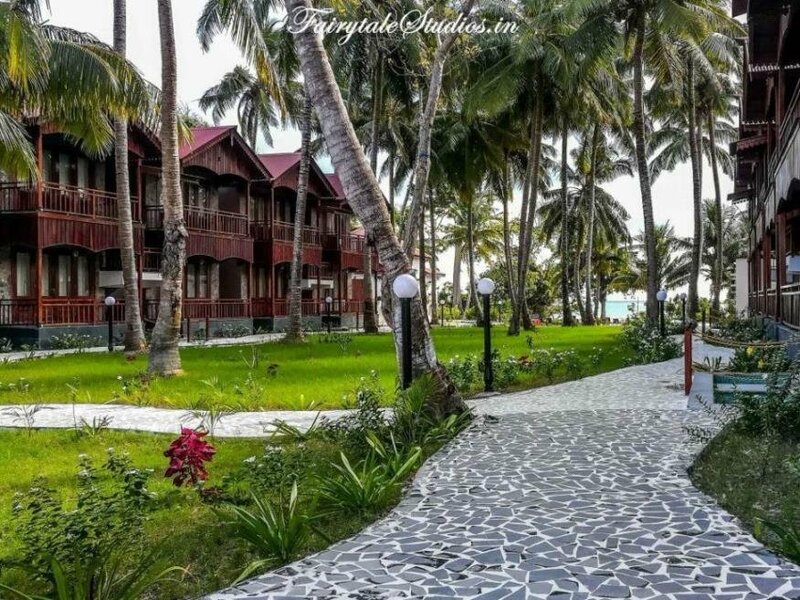 Summer Sands Beach Resort: This resort is Located in Neil Island which is hardly 40km from Port Blair and comprises of 5 villages; this luxury resort is a paradise in its own sense. 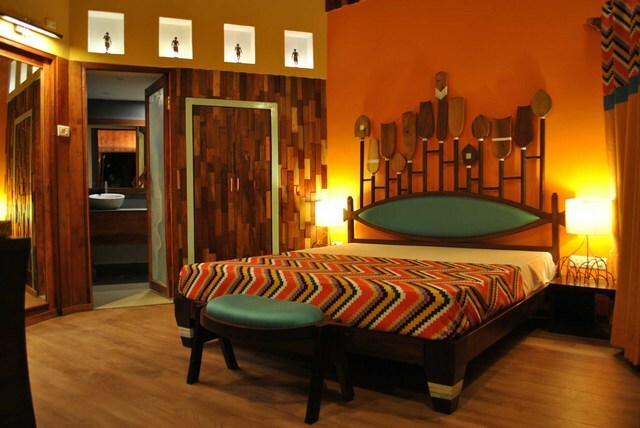 The resort has 62 fully furnished rooms and suites and experienced staff to accommodate your day and night. In Neil Island, Summer Sand offers most luxurious accommodation. Summer Sand is a very good option for those looking into luxurious accommodation in Neil Island. It’s architecture and its’ build is very new and the experience of course. 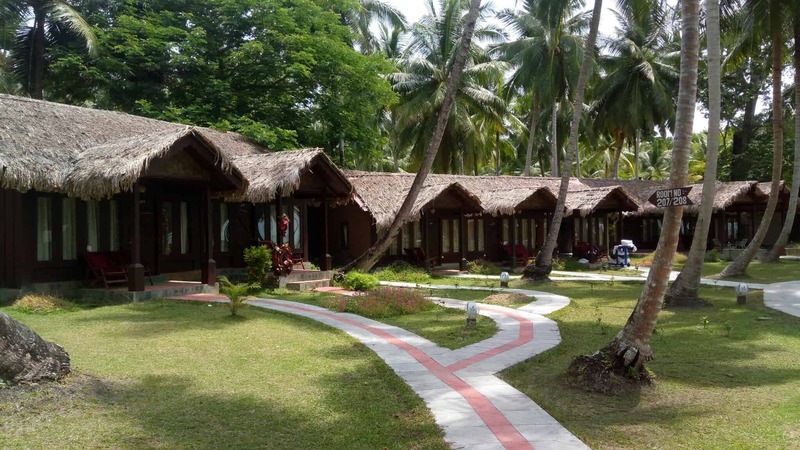 Sea Shell Beach Resort: Sea Shell Beach Resort has kept up with the theme of Andaman Islands and makes tourists feel comfortable in the natural setting. Hotel staff keeps everything ready and cottages are nicely done, and spacious. 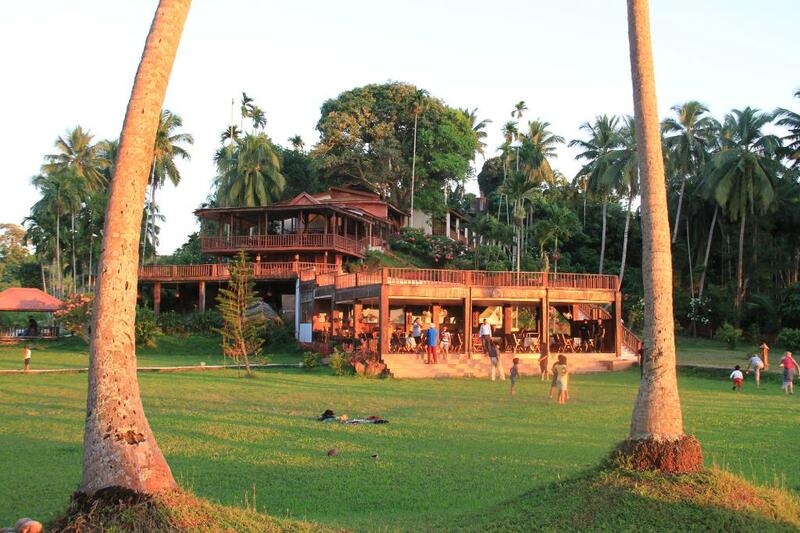 Surrounded by coconut trees and water, this resort gets you closer to nature. Breakfast offered at the resort is complimentary; you can also enjoy here Island’s traditional food or experiment with seafood, continental or other delicacies. 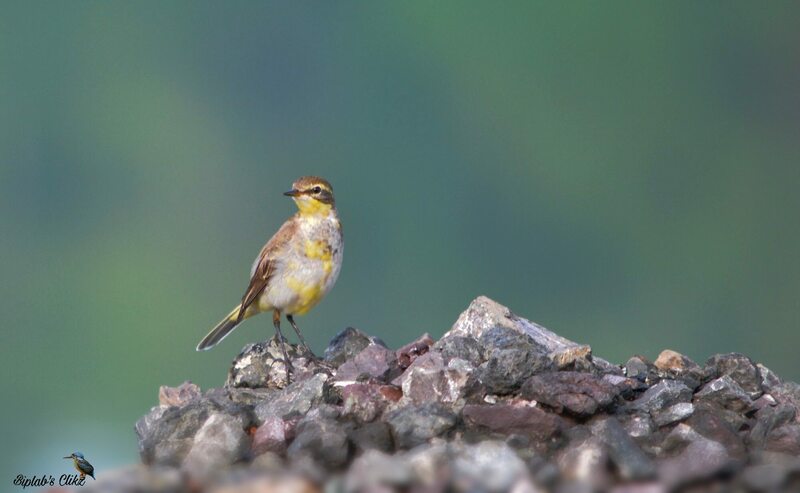 In short, it is worth the money as the aesthetics compliments with hospitality making the stay memorable. 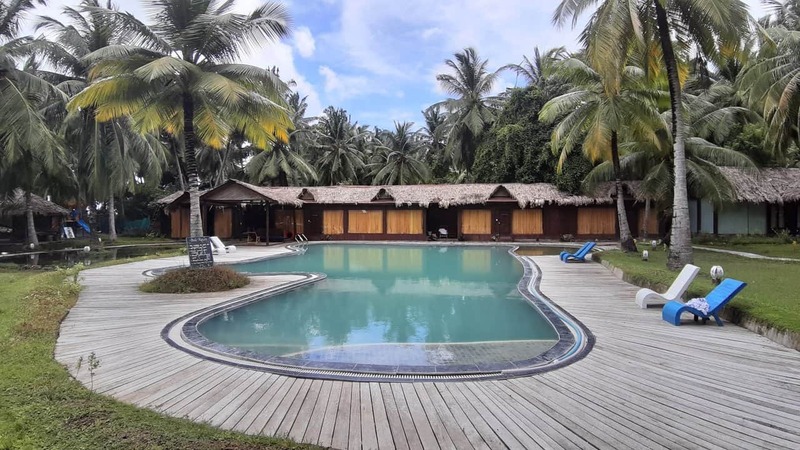 Silver Sand Beach Resort: The resort is 23km from Havelock Island and is made in traditional Nicobari Hut style giving a coastal feel to the tourists. The beachfront resort is perfect for those who love to wake up early and enjoy going for an early morning walk. You can enjoy a relaxing and rejuvenating walk on the beach. People complain about lack of supplies in Neil Island, but this resort provides every basic thing which a tourist needs and that too at a basic price. Facilities: Front desk, multi-cuisine restaurant, intercom, 24 hours hot and cold water, complimentary breakfast and room service. 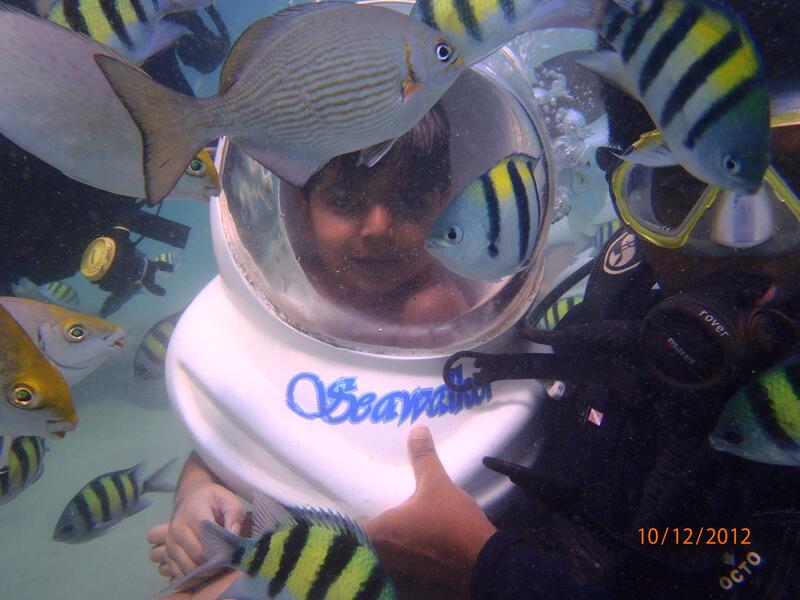 TSG Aura: Located at Sitapur beach, this resort has everything a traveler can ask for after a crazy day underwater. 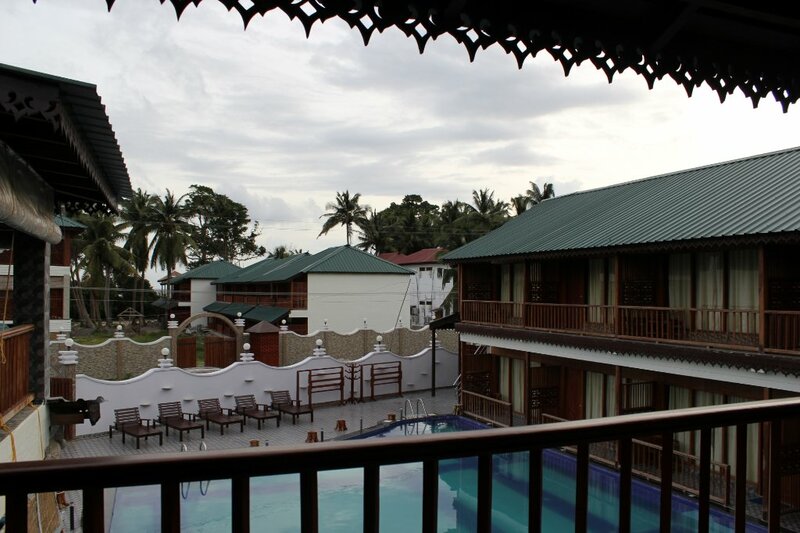 It is a lifestyle hotel with Cosy wooden cottages, friendly staff, fully furnished rooms and mouth-watering cuisines. Hotel’s philosophy focuses on providing efficient service, well-appointed rooms, and multi-cuisine restaurant. 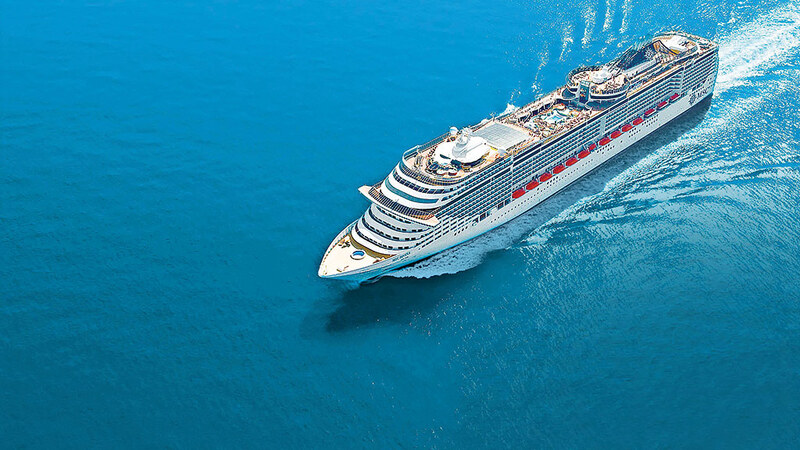 Facilities: Dining, room services, air conditioning and spectacular views. 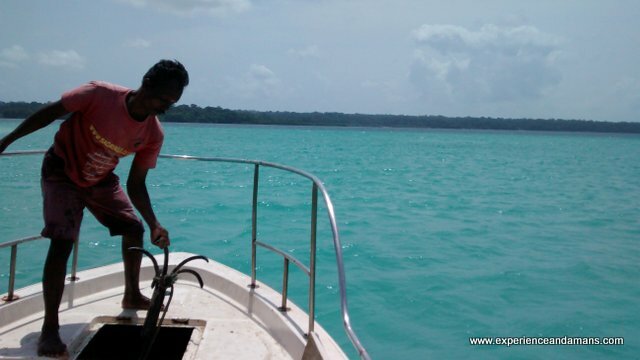 Coral Reef Havelock Island – Coral reef at Havelock Island is one of the best luxury resorts in Havelock. Amazing views, spacious rooms and a very different architecture is what Coral Reef has to offer. 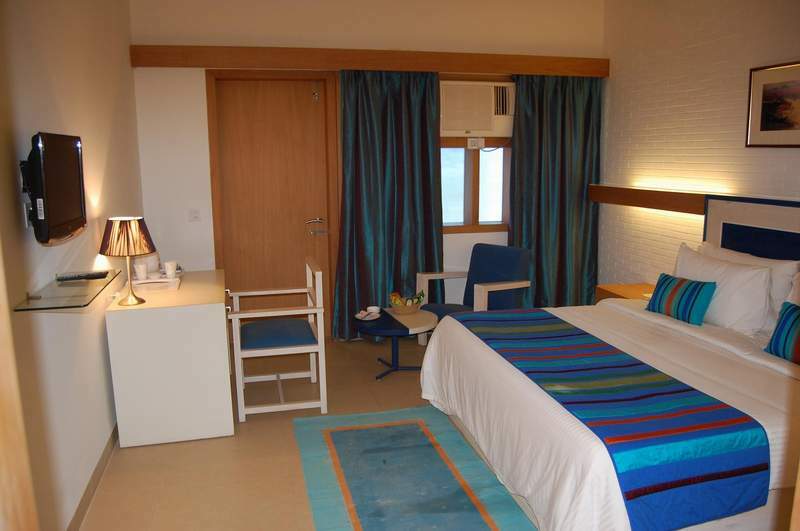 The rooms are spacious and the interiors are very well designed to give you an amazing beach resort experience. 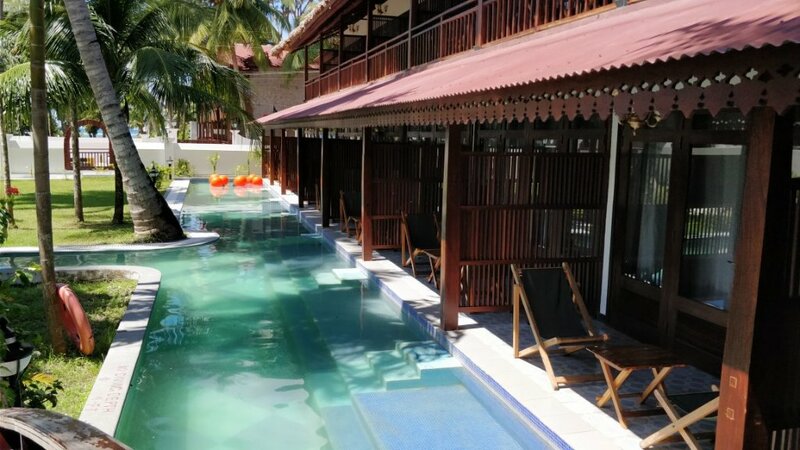 Sea Shell Havelock Island – Now, Sea Shell Signature resort is the resort at Havelock Island and this is where everything for sea shell began. The area of Sea Shell is very good and spacious. 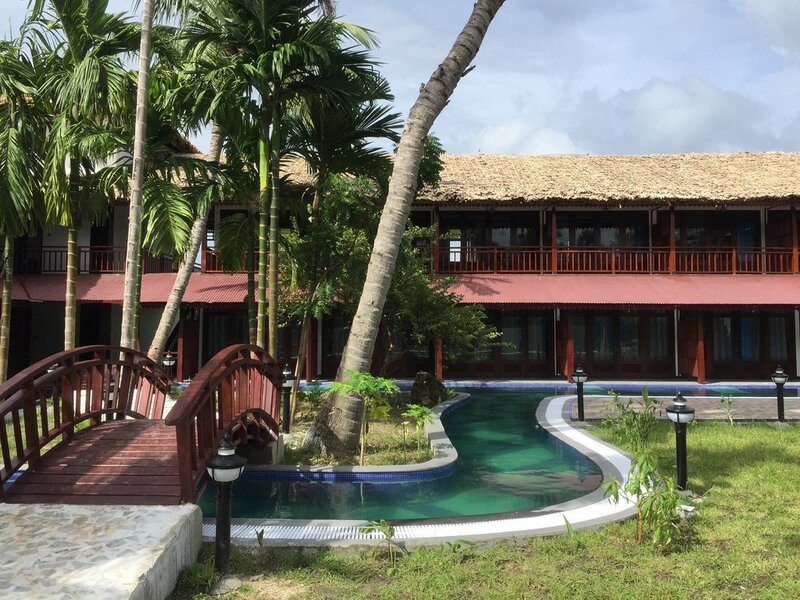 This is one of the finest resorts in Havelock Island the rooms I will say is decent and in future could be improved with bathtubs and other amenities for the customers. The food here is fantastic. 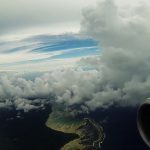 The only drawback which I can consider is the beach which is rocky and sometimes is a turnoff for those looking into an absolutely fantastic beach at Havelock Island. 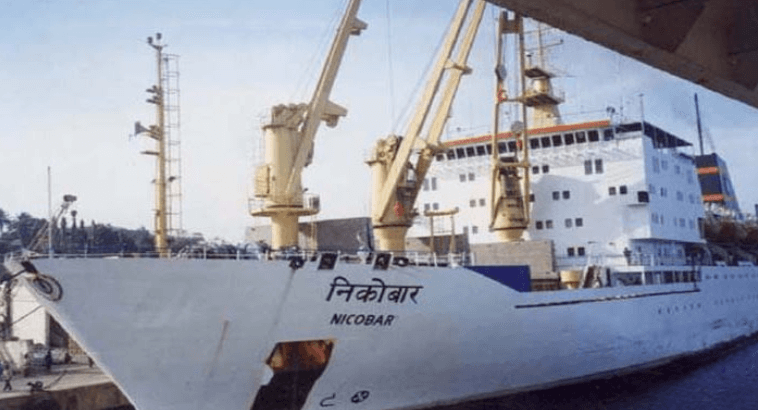 Havelock Haywizz – Haywizz at Havelock Island is an experience. 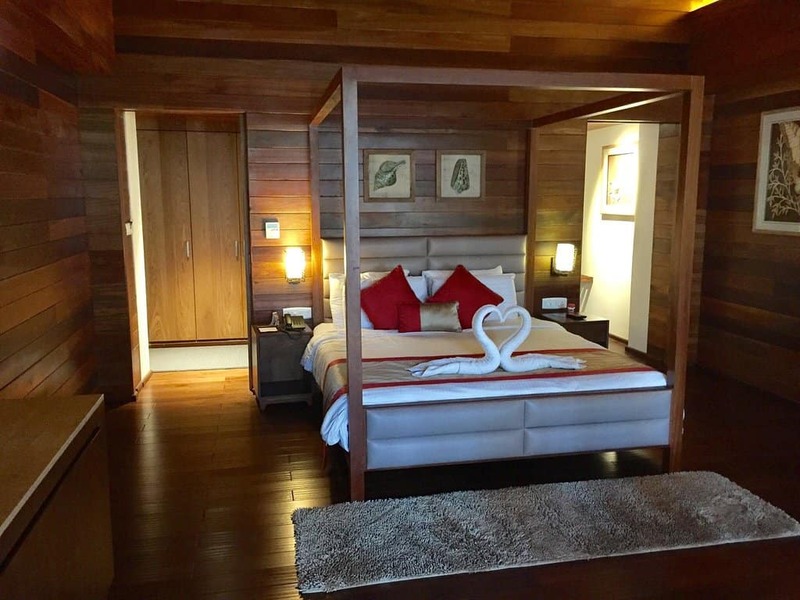 Launched in 2018, this luxury property has the most amazing rooms in entire Havelock Island. 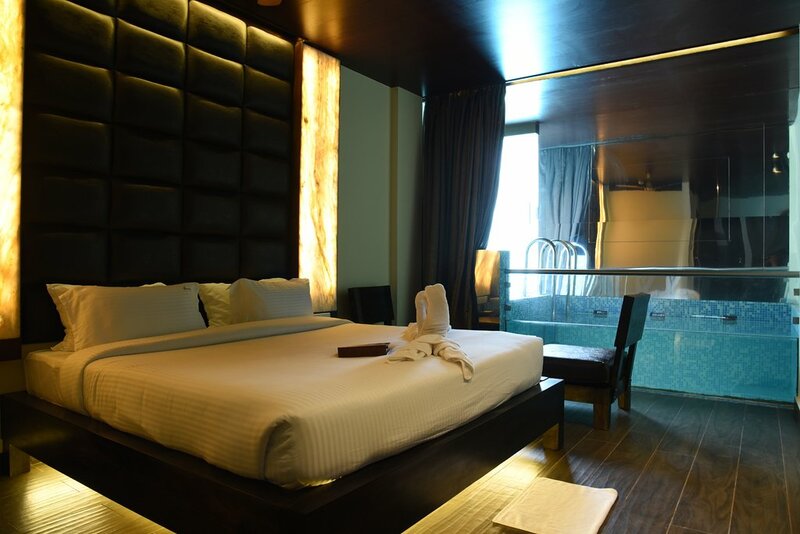 Their top category rooms with Private pool is just awesome. 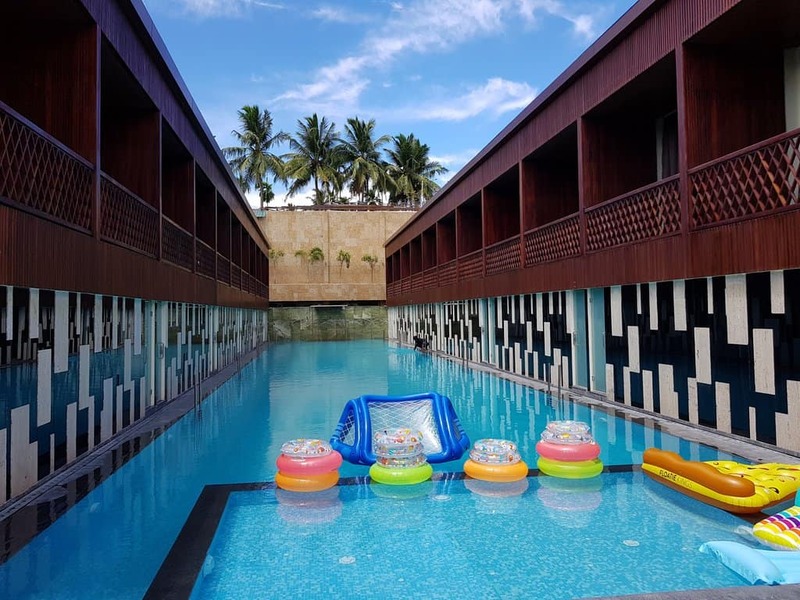 It hosts the largest pool in the islands and no other property in the Andaman Islands can offer you such amazing Swimming Pool experience without a doubt. The only drawback with Haywizz is that it’s not a beach resort, having said that, it has a different experience than a beach resort. 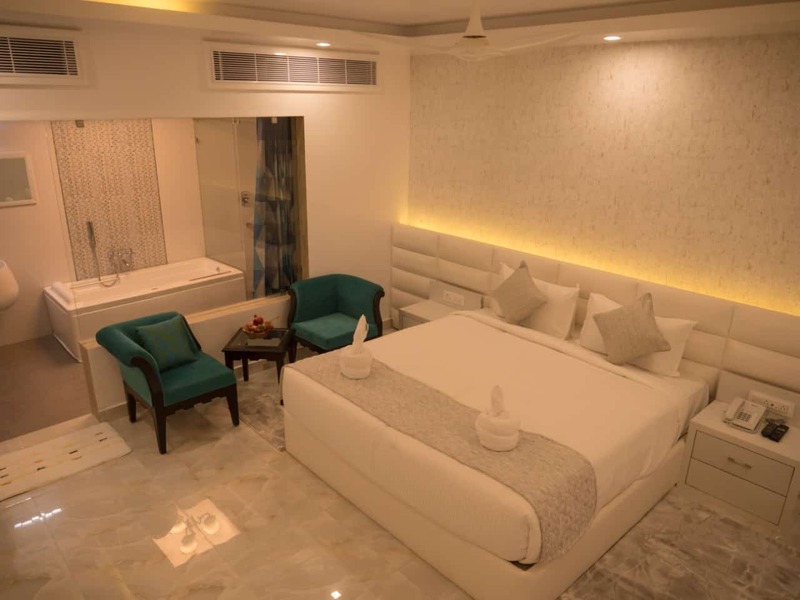 Silver Sand Beach Resort – One of the oldest beach resort in Havelock Island, Silver sand offers an amazing beach experience that is hard to experience for anyone staying at Beach No. 3 . The waters are just perfect. For those looking into the best beach to stay by at Havelock Island then you can consider the resorts lined up at beach number 5. 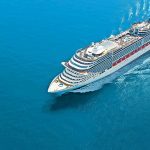 Two of those have been mentioned in this article, one is Coral Reef and Other is Silver. 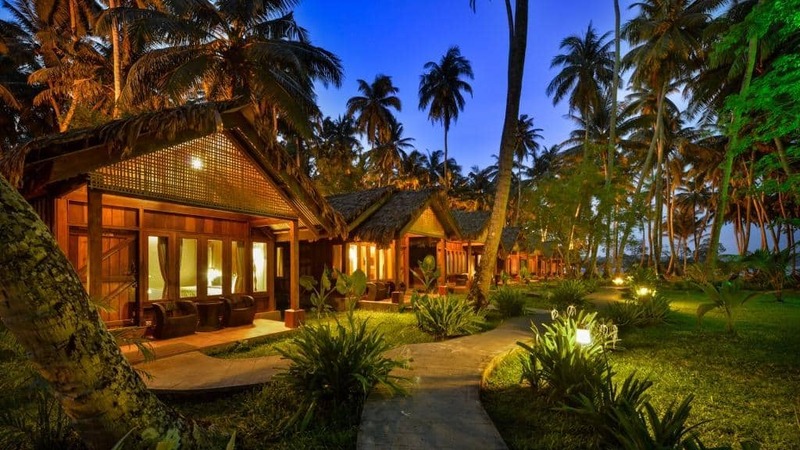 Both of these luxury resorts in Andaman has a different experience altogether. 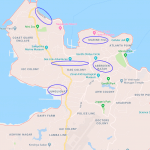 For Silver Sand, I will recommend you to avail rooms that are closer to the beach as the property extends to the other side of the road as well. 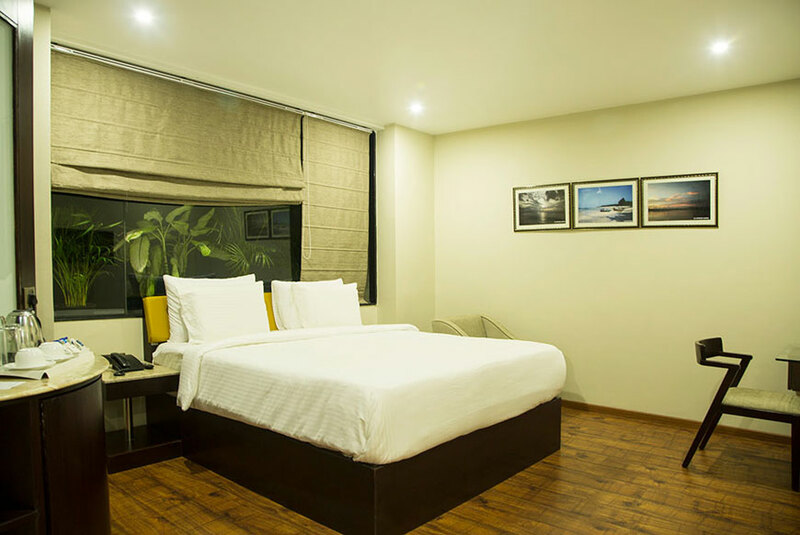 Opting for rooms that are another side of the road may not be a great option when you are looking into the best experience in Andaman. 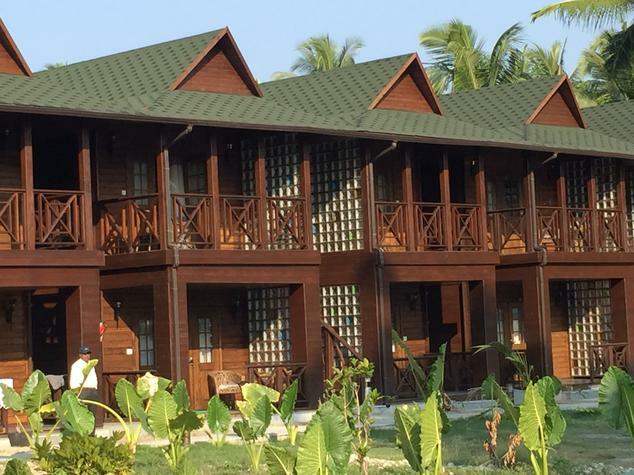 Barefoot Jungle Resort – Barefoot at Havelock Island, Now under Cafe Coffe Day is one of the top luxurious resort at Havelock Island. The theme and experience here is altogether different. 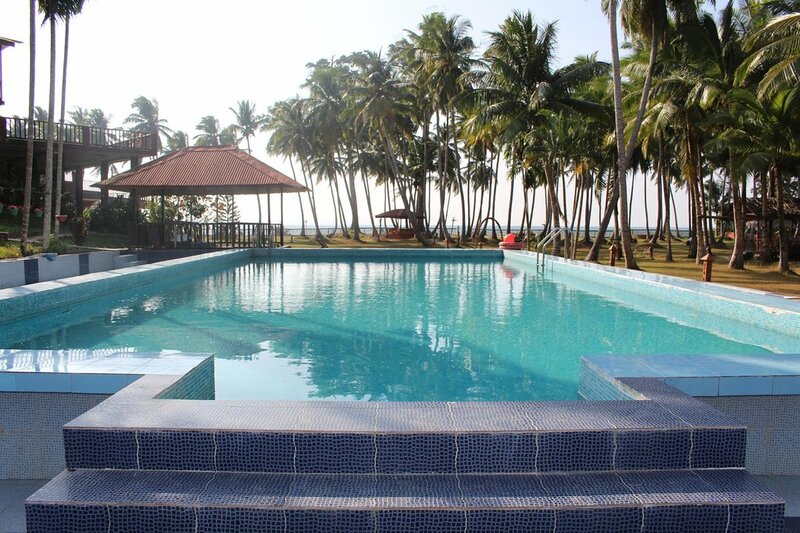 Located within a few meters from the best beach in India, Radhanagar Beach, Barefoot is a different class altogether. The personalization here at Barefoot is very different, you are not allowed to carry your mobile phones to the rooms is one among them. 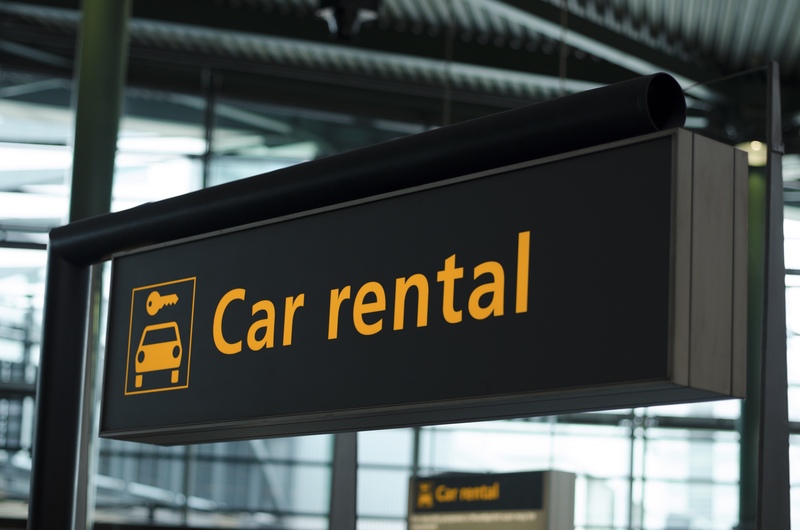 This is to make sure you get to indulge in a proper vacation The hospitality at the Barefoot resort is very different and top class. In terms of rooms, I will recommend you to opt for its top category that is the Nicobari Cottage and the Villa. The base category rooms that is the tented cottages can be improved further. 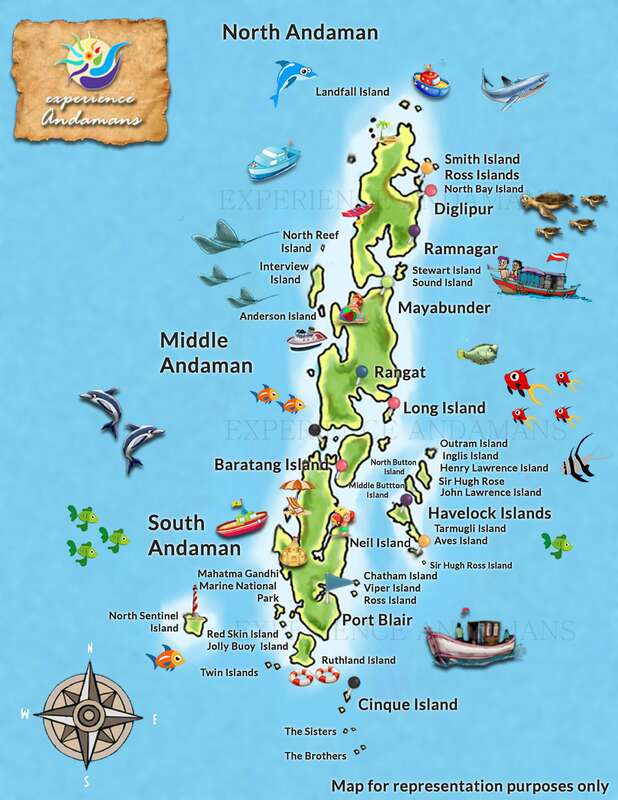 Andaman island is a gem of a destination. 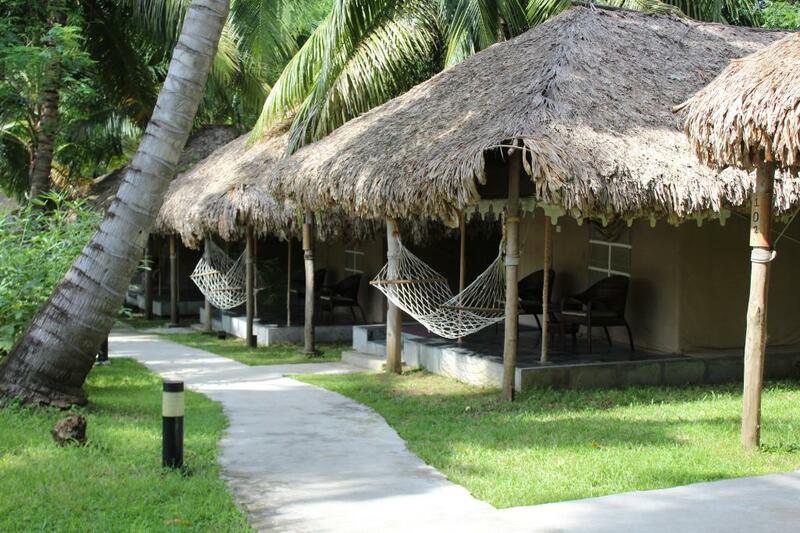 The above mentioned luxurious resorts are the best that you can get in the Andaman Islands. 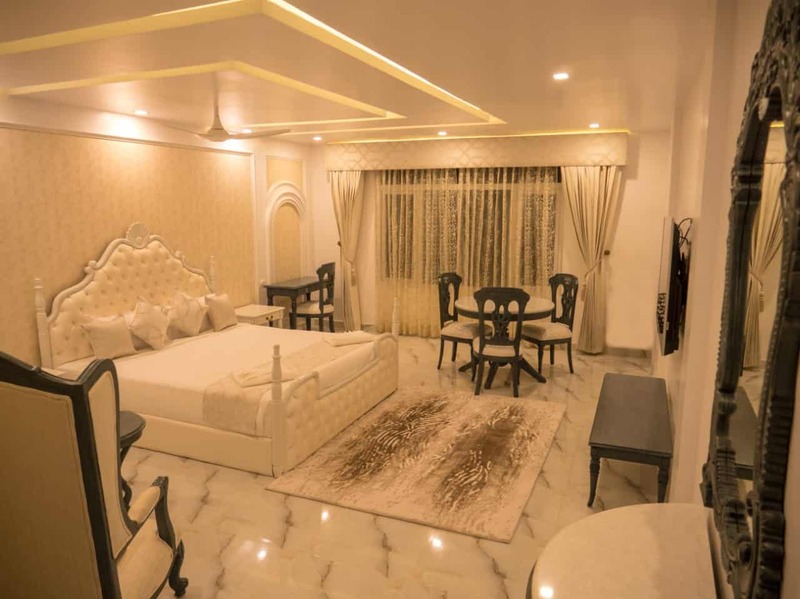 There could be many luxurious resorts in Andaman Islands that you will come to know about while doing your research about How to Plan Andaman Trip Package, however, the above-mentioned resorts are the best in class and I am pretty sure you will not regret staying at any of it. 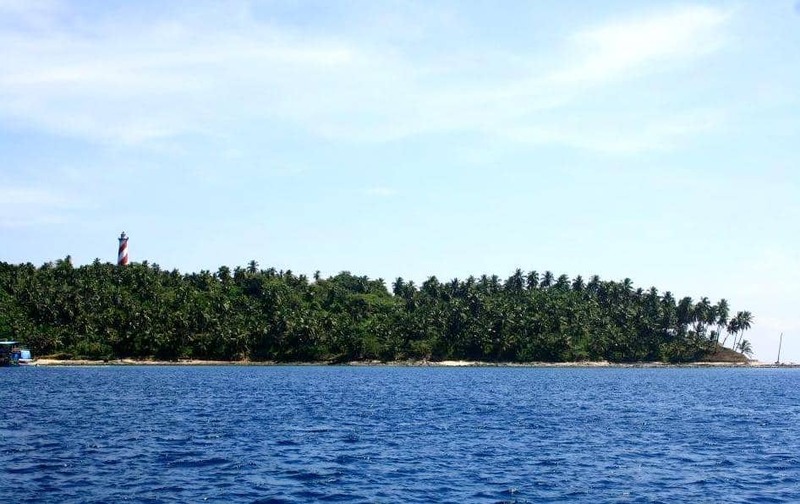 At Havelock Island specifically, at most of the resort mobile network will not be there so prepare for it accordingly.In case you have any suggestions or inputs about my article on 5 Star Luxury resort in Andaman and more then do write to me at azhar@experienceandamans.com and I will be happy to revert back. 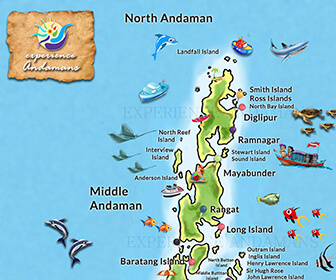 Hope this helps you to plan your vacation in a perfect way at Andaman. Amazing article to read. Thanks a lot for sharing this. Good Work Keep it up.